Every August without fail, I stalk the magazine stands of the local Barnes & Noble in the unveiling of each magazines September Issue. I get a rush of excitement as I scan the covers. My eyse lingering on the glossy covers, scanning pages of ad-packed content and the trend reports that will allow each fashionista to put her best Isabel Marant sneaker-clad foot forward. From what I’ve seen on stands the current issues that are available include: Glamour featuring Victoria Beckham, Cosmopolitan featuring Lucy Hale, Elle featuring Katy Perry, Marie Claire featuring Miley Cyrus, and Seventeen with the youngest of the Kardashian clan Kendall and Kylie on the cover. 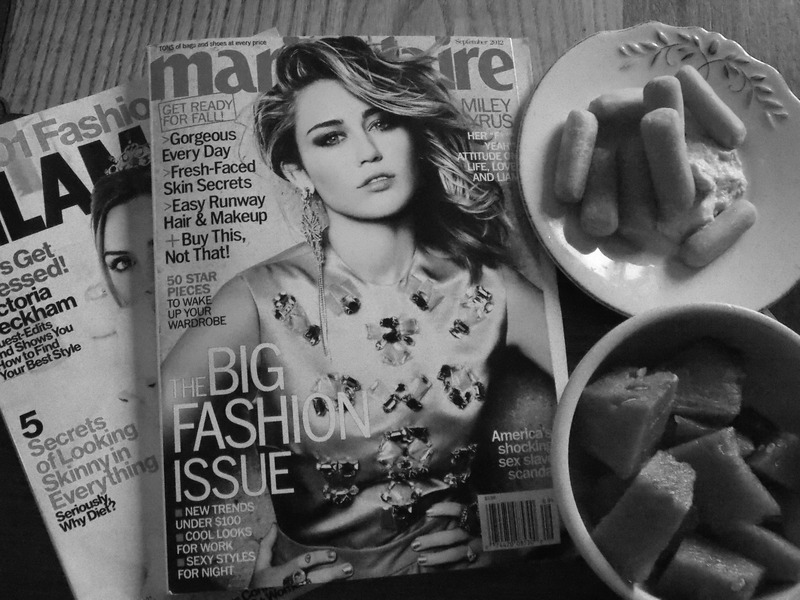 So far I have purchased Glamour magazine and Marie Claire; a magazine I usually do not purchase but I’m a sucker for a good cover girl and Miley Cyrus was it. I’ve already devoured Glamour which had fashion advice oozing from each page. 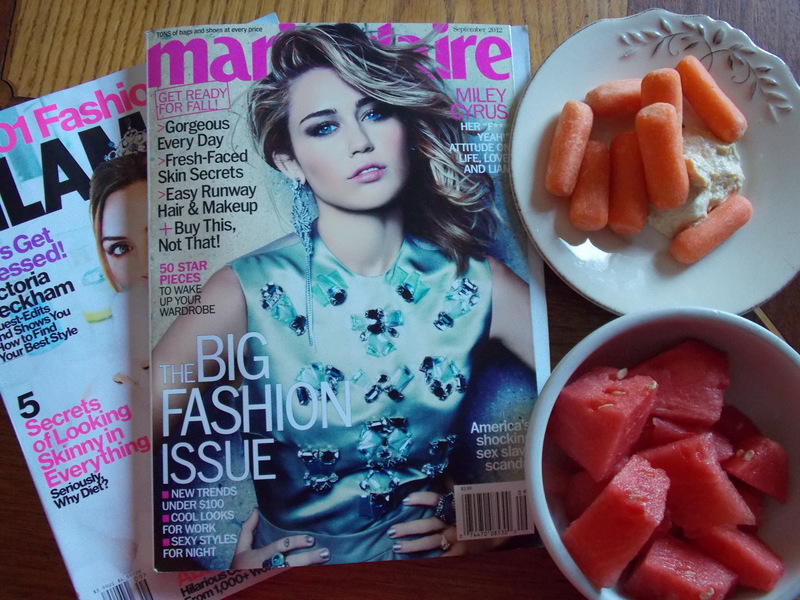 I’m excited to learn about a different interpretation from Marie Claire. This week you can expect a full report of my favorites from these issues. For now I’m going to sit back and relax, enjoy some refreshing summer fruit and veg, and savour every last page.